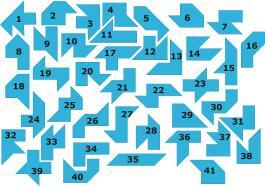 The puzzles below involve different kinds of tessellation (tilings). The pieces are made from a number of triangles. All the pieces in a set have the same area, are numbered, and may be used with either face uppermost. The unique design dictates that no solution has any piece plus position in common with another solution. This make it possible to organize fair contests. 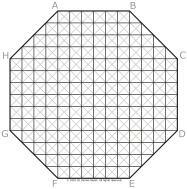 Fill the entire game board using all the pieces without any unfilled areas. 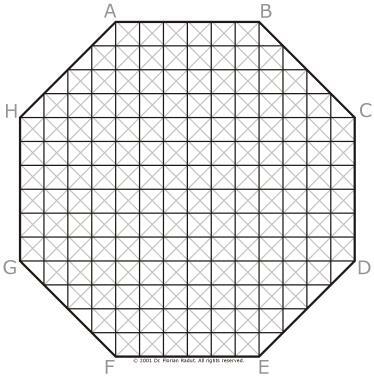 Remember that the pieces can be placed on the game board with either of the two faces uppermost. The start piece is the piece #17 and the start position is 1efgh2fgh. 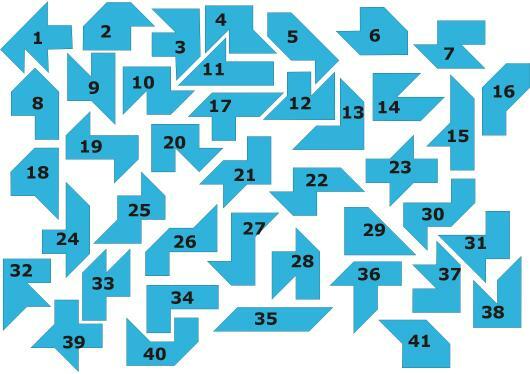 FIND THE CORRECT POSITION OF PIECE 20? This is surely not too difficult, is it? 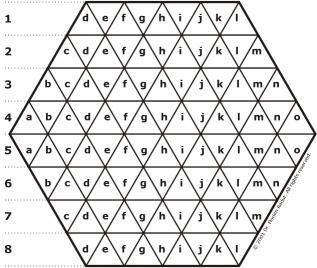 Try to solve this puzzle. It is enough to find out what pieces are in the board's corners.